Whether you are fond of yummy chocolate pies or a seasonal pumpkin pie, AZ boutique features the best pie molds, tart pans and pie pans you need. 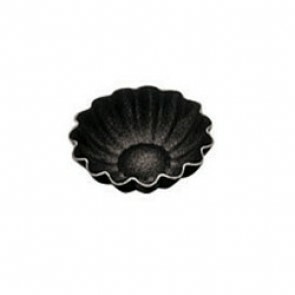 This round mold with smooth or fluted edge of different diameters used in baking and cooking has been specially designed to accommodate the queen of baked dishes: the pie or its variants such as tart, quiche, flamiche or pissaladière. 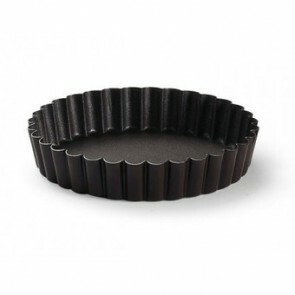 Which tart mold or pie pan to choose? Determine the shape, diameter and material of your mold as well as its resistance to heat for better baking. 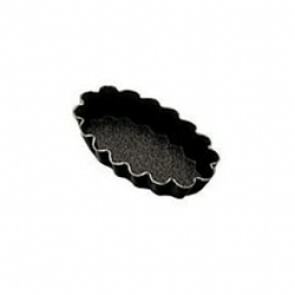 The shape: a pie mold has a round shape, it has raised rims that can be smooth or fluted (the flutes can have multiple sizes) which will play on the final rendering of your pie. 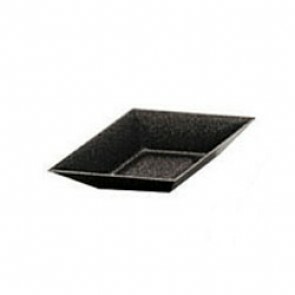 On the other hand, a tart pan usually have straight sides which give a neat presentation to your pies and they come in several mold shapes including square, oval or rectangular mold. There are also removable bottom molds to facilitate demolding and serve pies very easily by simply lifting the base of the mold. The diameter: It can be of several diameters to accommodate a large pie or mini-pies. The material: There are different materials for pie molds such as porcelain, metal (steel or aluminum) sometimes with a non-stick coating (like the tart mold) and since the sensational arrival of food silicone utensils in the kitchen Silicone tart mold for large pies or mini tartlets. 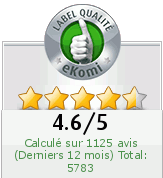 Each material has advantages and disadvantages. 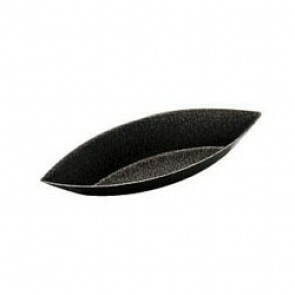 The porcelain pie molds will allow you to have a homogeneous cooking since they withstand temperatures. Porcelain represents no danger to health, it is aesthetic because you can create a beautiful presentation of your pies and besides it will be possible to cut directly into the mold without the risk of damaging it, it is very easy to clean. On the other hand, the porcelain is fragile, it does not support too sudden temperature changes and it will be necessary to take care to grease well and flour your mold for an easy demolding. Flexible silicone food molds are flexible and lightweight for easy mold release. They can go in the oven but also in the freezer because they support the very high as the very low temperatures (ranging from - 60 ° C to + 230 ° C). It is a type of non-stick mold. Even if it is unbreakable, you will have to be careful not to pierce it. 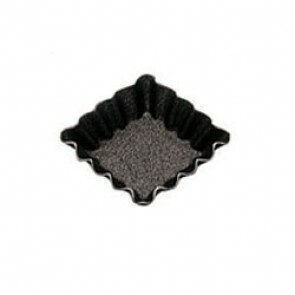 Its supple side can become a small inconvenience when baking or serving, be careful not to miss out on your cooking. You should also be careful to choose a quality silicone: it must be able to withstand quite high temperatures: from 260 to 280 °C. The glass mold is aesthetic, can be put in the oven or freezer and is dishwasher safe, but it can break and not withstand thermal shocks. Just like the porcelain mold, it must be lined before use (you can also use parchment paper to prevent your pie from sticking to the mold). 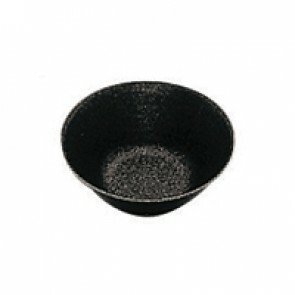 Non-stick metal pans are perfect for a uniform cooking and perfect release without having to grease and flour the mold. 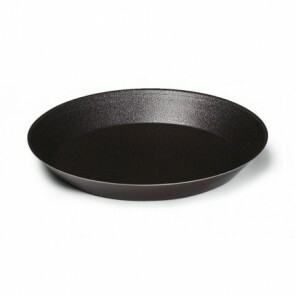 The nonstick pan is light, sturdy and is dishwasher safe. Nevertheless, its durability can be shortened if one does not take care of the non-stick coating. It will strictly recommended to use non-metal utensils because of the risk of damaging the coating. Bear mind that a damaged coating presents some health risk. It's up to you to select the type of mold you want from our selection of quality materials to make your most beautiful pies. How to make a beautiful pie with your tart pan? Here are some tips you can apply to make a successful pie. First of all, you will have to choose the right mold: fluted or plain pie plate or pie ring mold according to the shape you want. 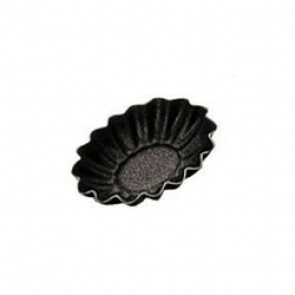 If you want to make a tart with fluted edges, we advise you to opt for a fluted tart mold with removable bottom for easy demolding with caution. Next, butter and flour the mold, which is called "lining" a mold to prevent your pastry from sticking to the bottom. You will be able to arrange at the bottom of your pie plate a baking paper or then use a flexipan type baking mat if you prefer to use mousse rings for easy demolding. Make a short pastry or puff pastry. Lining the pie pan: For a crispy , you need to prick the dough with a fork or a spade rolls quickly. For baking: Cook the pastry plain : before cooking your pastry with its filling, it will be necessary for you to precook it or more precisely to cook it plain to avoid that it is tempered with the filling. Garnish: There are plenty of possibilities for sweet or savory pie filling, our only advice is to cook the pastry beforehand if you expect a rather liquid filling. The final touch: if it is a sweet dessert, top your tart with fruit jelly for an amazing brilliant visual rendering. For a savory cheese pie, do not hesitate to sprinkle some Gruyère cheese for a delicious gratin side. Now, grab your aprons to make your most beautiful pie, tarts or quiche! For an amazing baking time, choose from our wide selection of professional-quality molds such as cake molds, savarin molds, ring molds, food silicone molds, sponge cake molds in AZ boutique’s baking supplies section.